So far we've only seen one trailer for the Ben Affleck directed thriller Argo, but if the buzz from Telluride and Toronto (watch our video blog here) is any indicator, then the film will get plenty of attention and likely Academy Awards love when the time comes. 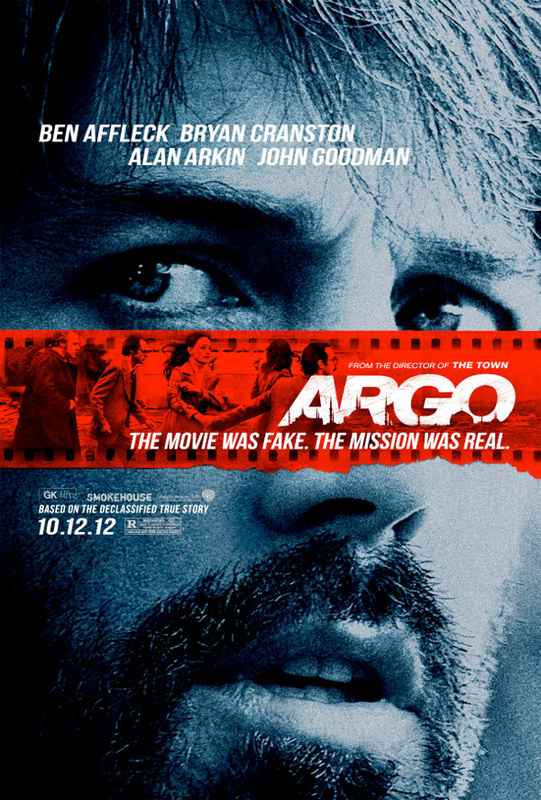 There's a chance we might get one more trailer before the film hits theaters next month, but in the meantime, the first poster for the film has arrived with Affleck's giant face behind one single red film strip complete with the hostages trying to escape under the guise of a fake sci-fi movie called Argo. It's nothing amazing, but at least it's not just a Photoshopped floating heads poster. Based on true events, Argo chronicles the life-or-death covert operation to rescue six Americans, which unfolded behind the scenes of the Iran hostage crisis–the truth of which was unknown by the public for decades. On November 4, 1979, as the Iranian revolution reaches its boiling point, militants storm the US embassy in Tehran, taking 52 Americans hostage. But, in the midst of the chaos, six Americans manage to slip away and find refuge in the home of the Canadian ambassador. Knowing it is only a matter of time before the six are found out and likely killed, a CIA "exfiltration" specialist named Tony Mendez (Affleck) comes up with a risky plan to get them safely out of the country. Argo hits theaters starting October 12th.